Click here to get on a waitlist through Samadhi. Join Yogarupa Rod Stryker, one of the West’s true master teachers, as he leads this two-day workshop, focusing on the teachings and practices that unlock Sri––the all-pervasive wave of beauty and bliss that is the source of life. Through practices and theory you’ll experience, first hand, how asana is part of a larger, more comprehensive tradition––Tantra, which expands the reach of yoga in ever more profound ways. Four classes, each building to the next, lead toward you embodying more and more of the grace, wisdom and power of Sri. 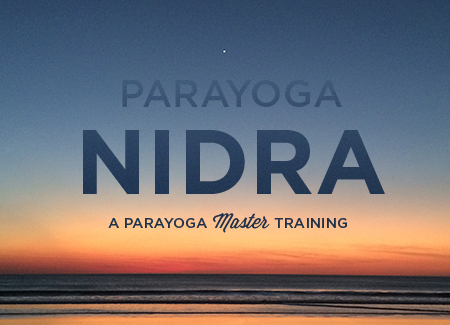 You’ll use asana and breath to open the portals of your energy body, engage your mind to enter into the profound practices that awaken your Divine potential, work with Yoga Nidra (deep relaxation) and explore the profound teachings of Sri Vidya. Classes will include theory, dynamic asana sequences, accessible pranayama and tantric meditation as well as Yoga Nidra practices. All levels welcome. Bandha is the doorway into the energetics of practice. Perfection of bandha increases our sensitivity and relationship to prana (life force). It also builds creative power, awakens self-knowledge and accelerates the process of transformation. Learn the keys to bandha theory and practice in asana and beyond. Our emphasis is on taking your practice, wherever it currently is, to the next level. Class includes asana, pranayama and some lecture. According to Tantra, the spine––and more specifically, the energy channel inside it, called Sushumna––gives access to your soul’s untapped potential and is a direct link to spirit. 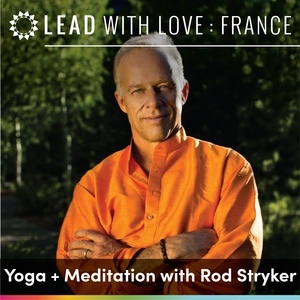 In this practice we move through a practice to build stillness and clarity while awakening the central channel to unlock the energy that leads to the highest. Mudra is the culmination of the physical practice of Tantric hatha yoga. The most energetically profound of all hatha practices, mudra incorporates asana, breath, and bandha, thereby bridging yoga’s physical and spiritual practices. Experience this internally challenging, powerful and sacred modality in the flow of a progressive sequence. Learn how, why and what of this most profound of tantric hatha practices. Previous pranayama experience strongly recommended. According to some schools of Tantra, the ultimate aim of practice is to embody Sri. The day will feature dynamic asana practice as well as yoga nidra. We will dive into the heart of Tantra’s sublime vision, leading you to experience the body as the altar of life and the source–the all-encompassing beauty and joy–that is the soul of the universe. ParaYoga is pleased to offer a scholarship for this weekend immersion through the Black Yoga Teachers Alliance whose mission is to support the educational and professional development of black yoga teachers, establish a standard of excellence and elevate the presence of black yoga teachers in the world. Please email kerry@parayoga.com to request an application: the deadline for submissions is November 1st. See Samadhi’s page for cancellation policy.